This 8mm tungsten carbide wedding band is domed with high polish sides and satin finish center separated by two black lines. 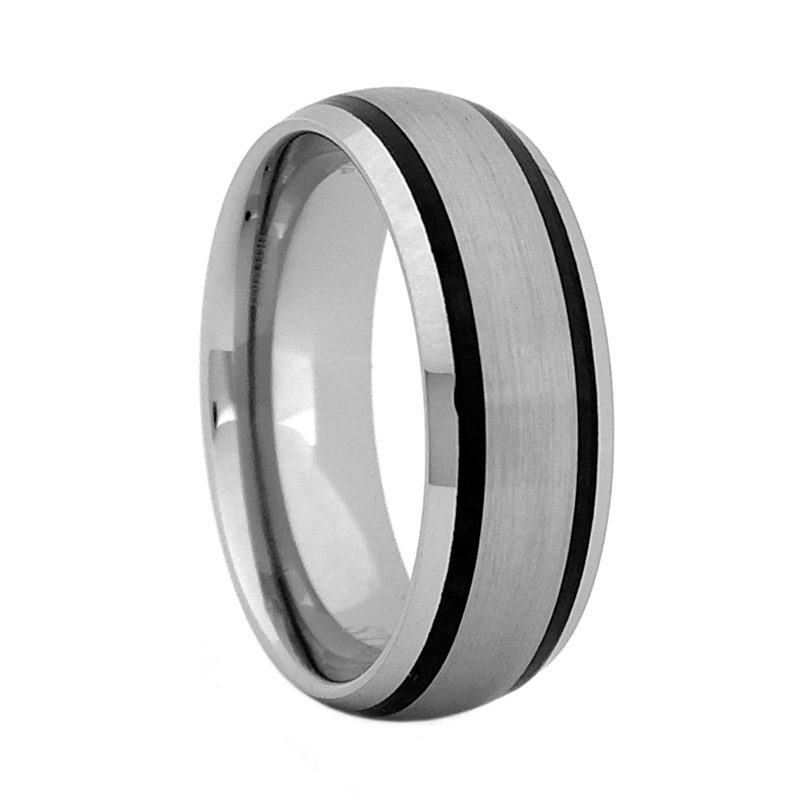 Timeless design in scratch resistant tungsten carbide is wonderful choice for those who prefer a traditional style with some modern elements. Our tungsten carbide rings come with a Lifetime Warranty, so you can enjoy your ring everyday as much as on the day you purchased it. For more information on Lifetime Warranty, please refer to the Quick Link section at the bottom of the page.